Andrew Coleman has been a professional musician for over 10 years, working primarily in the areas of electro-acoustic and electronica. Based in Cambridge in the UK, Andy initially burst into the electronica scene with an EP released on the home-grown Bovinyl records under the moniker Animals on Wheels. From there Andy released two albums as Animals on Wheels for the London-based, beats label Ninja Tune - the frenetic Design and Mistakes, followed by the organic textures and melodies of Nuvol I Cadira. Andy also released a number of Eps and tracks on compilations. By 2001 Andy was keen to pursue other creative avenues and released Everything Was Beautiful And Nothing Hurt under his own name on the well respected Chicago, post-rock label Thrill Jockey. 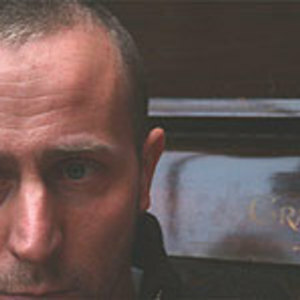 More recently Andy has released two albums which demonstrate his unique, diverse and prolific musical output including Demons on local Cambridge electronica label Tripel Records and Tony Alva's Hair on the Canadian multi-media label c0c0s1l1dc1t1. ?Throughout most of my career I have worked with sequenced synthesis and sample based music techniques but for the last couple of years I have been looking for ways to work live instruments into my music production as my ideas are often related to the conflict or harmony between electronic and acoustic or, put another way, digital and analogue. As well as some live collaborations working along side a drummer, I have created live performances combining guitar improvisation and granular processing of the guitar sound. ?